You are here: Home / Kid Crafts / Mermaid Slime for Young Kids – Safe, Fun, and Easy! 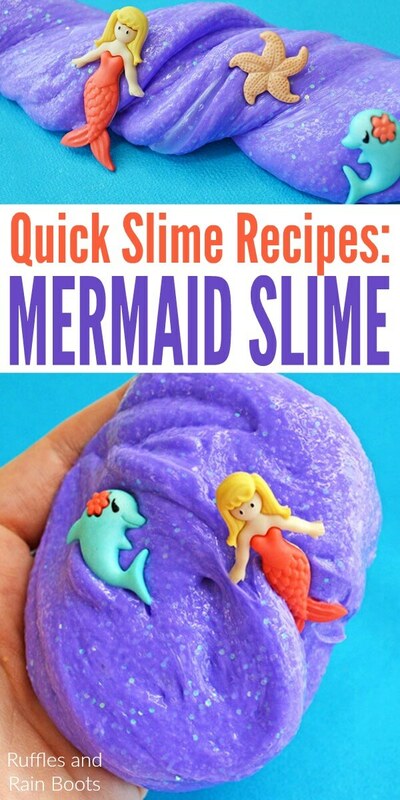 Mermaid Slime for Young Kids – Safe, Fun, and Easy! 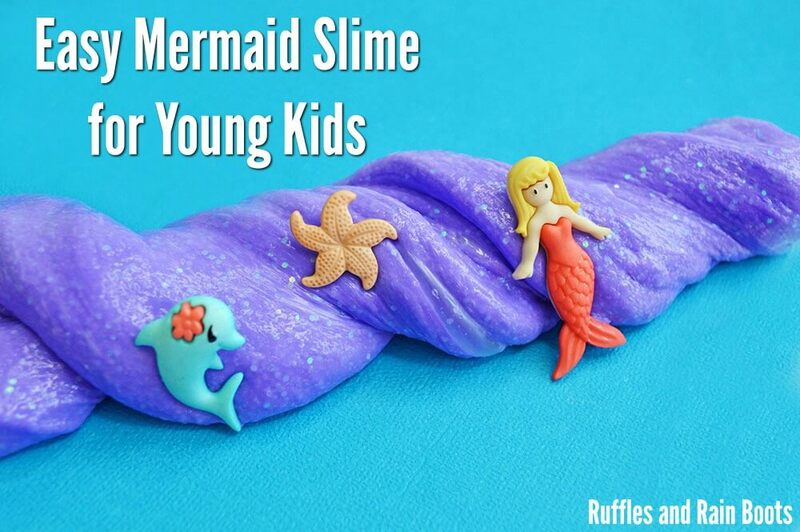 This mermaid slime for young kids is fun, easy, and uses a mild activating agent. Let’s get started bringing science to little minds! To make slime safe for babies, mouthing wobblers, and kids with very sensitive skin, enclose it in a zip-top plastic bag. Seal the zipper with clear packing tape or colored duct tape. That way, you can be sure that they won’t get it open. 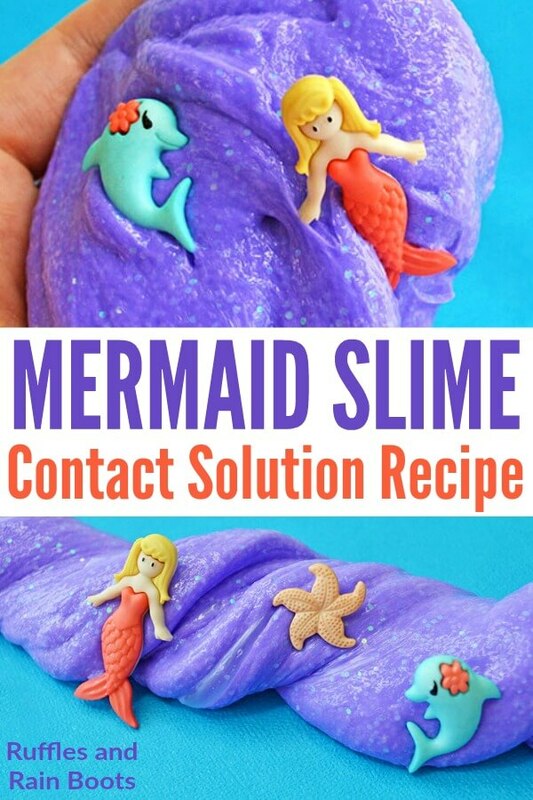 Another way you can help make sure slime is “safe” is to use contact solution as an activating agent like we’ve done here with our mermaid slime for young kids. There are some design limitations to this method, however, it is less likely to react with skin. As a reminder, no matter what activating agent you use, wash hands after playing with slime. If you’re looking for more ideas, check out our favorite slime recipes. This mermaid slime for young kids is a fun, simple, and safe activity to set up. We loved the buttons as a quick way to make a themed slime the little ones loved! mermaid figures, buttons, beads, or charms <– Check these out, there are so many! 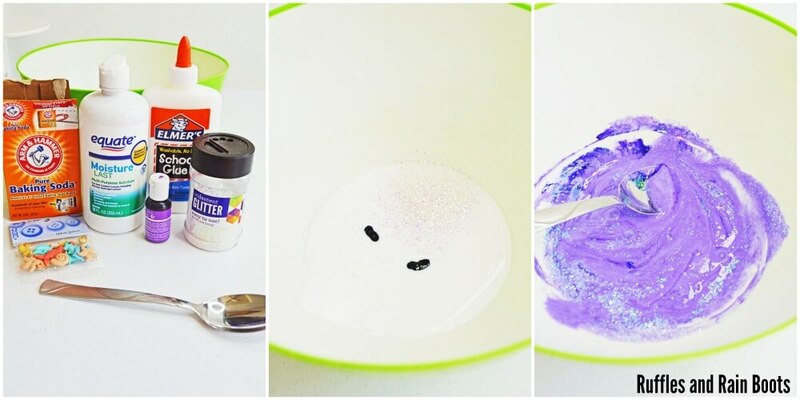 In a crafting bowl, mix glue, baking soda, and food coloring together. Add glitter and stir until incorporated. Add contact solution, stirring until a mass forms. Remove from the bowl and knead by hand until the slime is no longer sticky. Add the mermaid elements and store in an airtight container. How would you change up this mermaid slime for young kids? Would you add purple glitter glue? A different glitter? Maybe throw in a few puffy stickers in The Little Mermaid theme? Let us know below.